Income Protection insurance premiums have risen by as much as 30% over 2017 and 2018. You know that income protection insurance is important for your financial security. But how do you keep the cost affordable? It is possible to reduce your income protection premium without sacrificing too many key benefits and features. If you pay for your income protection premium personally (i.e. not through your super fund) you can claim the premium as a deduction at tax time. Depending on your income level and your marginal tax rate you could receive almost half of your premium back as a tax refund. Find out more about how the income protection tax deduction works. Income protection policies come in two types – indemnity and agreed value. Indemnity policies are on average 20% cheaper than agreed value policies* so an indemnity policy is one way to keep costs down. However with an indemnity policy there is a risk that you will receive less than the monthly benefit on your schedule if your income has fallen since you took out your policy. So the premium saving has to be weighed against this risk. If you are self-employed with a fluctuating income or likely to take an unpaid break from work (e.g. to have children) then an indemnity policy may not be suitable for you. However if you are salaried with good job security or you are insuring an amount well below the 75% maximum the risk associated with an indemnity policy may be lower. One of the biggest reductions in your income protection premiums can be achieved by increasing the waiting period on your policy. While a short waiting period may be desirable, it comes at a cost. Increasing your waiting period from 14 days to 30 days can reduce your income protection premium by around 40%*. Similarly increasing your waiting period from 30 days to 90 days can reduce your premium by 30% to 40%*. Before extending your waiting period you need to evaluate whether you will be able to make ends meet. When you go on claim the first payment from the insurer may not be received until a month after the end of the waiting period, depending on the insurer’s payment cycle. So in the case of a 90 day waiting period it may be 120 days before the first payment is received. Factors to consider would be how much sick leave you have, if your spouse’s income can cover immediate expenses, whether you have savings or investments to draw on and whether you could receive other family support until the insurer’s payments begin. Some insurers charge up to 10% extra* to include a claims escalation benefit (also known as a claim indexation option or increasing claim benefit). This benefit increases your monthly benefit by the inflation rate each year that you are on claim to ensure that its real value is maintained. Whether this benefit is important depends on your circumstances. If you are aged 35 and your policy has a benefit period to age 65 then the claims escalation benefit is essential because if you suffered a long term injury and needed to claim over 30 years your benefit would slowly shrink in real terms without indexation. However if you have a benefit period of only 2 years or 5 years indexation may be less critical, particularly with inflation rates currently running at 2 to 3%. One of the major determinants of your income protection premium is how the insurer rates your occupation. Some of the factors insurers look at is whether your occupation requires you to be office based, mobile, working underground or at heights. Also taken into account is the extent of manual work you do, your qualifications and years of experience. An increased level of income may also lift your occupation into a higher category. If you have recently received a promotion or salary increase, become qualified or moved from a “hands-on” job to more of a managerial role you should have your occupation category reassessed as this could result in a lower premium. 6. Do you need the extra benefits of a Plus policy? Most insurers offer two levels of income protection – a standard/basic policy and a plus/premier policy. The premium difference between these covers can vary between 10% and 30%*. Why pay extra for a Plus policy? The additional benefits offered by a Plus policy generally include set payments for specified injuries and trauma conditions, payments for full time nursing care, home help or care by a family member, expenses paid for accommodation and travel if disabled away from home and payment of rehabilitation expenses and incentives. In addition Plus policies will usually have more generous definitions of total disability, partial disability and more flexibility for future increases without medicals. However if you do not value these extra benefits and just want to cover against a “worst case” long term disablement scenario then basic cover may be all you require. This could be the case for example if you have sufficient savings to cover a short term illness or injury, or if you already have separate trauma cover. Some policies automatically include desirable features and benefits, whereas other policies charge extra to include these options. How do you know if a policy has these features? Go to Compare Quotes Online and compare the features and benefits of the different policies. As level premiums usually cost more than stepped premiums this may not sound like a saving measure. However if you hold your policy for more than 10 years a level premium may save you a significant amount of money in terms of the total premiums paid over the period. The potential to save money is higher the younger you are when you take out the level premium. This is because the cost of the level premium relative to the stepped premium is likely to be less when you are younger and you will have more years over which to reap the savings once the stepped premium rises above the level premium. Cover through your superannuation fund may be cheap because group rates are applied. 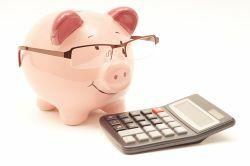 However superannuation cover has a number of shortcomings: cover will only be available while you are employed and contributing to the fund (which means no cover during breaks from work), agreed value cover, level premiums and “extra” benefits will not be available and the terms and conditions of your cover are not guaranteed and can change if your super fund changes insurance companies. Also many superannuation funds only offer income protection with a benefit period of 2 years and not to age 65. It is possible to supplement a 2 year super policy with a policy outside of super with a benefit period to age 65. The second policy can have a 2 year waiting period so that its cover starts when the other policy ends. However it can be cheaper to have just one policy (see below) or to use superlinking to “split” the benefits of a policy between super and non super (see below). Having more than one income protection policy can mean you end up paying too much for your cover. Each policy could have a fixed policy fee (between $60 and $90 a year) and you may miss out on large sum discounts (see below). Also at claim time it is going to mean having to deal with two insurance companies instead of one! You may also be overinsured by having more than one policy. There is usually a limit of 75% of your income which can be covered across all policies. This means that if you have two policies and the monthly benefits add up to more than 75% at claim time then one of the policies will be “offset” i.e. the benefit will be reduced so that you do not receive more than 75% of your income. This could mean that you have paid premiums for cover in excess of what you can receive. If you can afford to pay the premium for your income protection this will be tax effective and give you access to more benefits and features than a super policy. However if your finances are tight, and you would not otherwise be able to afford your desired level of income protection cover, you may consider using your super fund to pay some or all of your premium. Under superlinking a basic super income protection policy is paid for by an annual rollover from your super fund with a small top-up amount paid by you personally to upgrade the cover to that provided by a retail policy. The main downside of this approach is that over the long term your retirement savings will be reduced by the rollovers out of your super fund each year. For this reason it should be considered as a last resort. A level premium will also help avoid rising stepped premiums eating into your super savings as you get older. If you have a health condition you may find that an insurer imposes a loading on your premium of 50% to 400%, or excludes the pre-existing condition from coverage. Before accepting these conditions it is important to check whether these would be applied by other insurers. Each insurer has their own internal guidelines and also restrictions imposed by their reinsurer. This can result in a wide variance in the way that different conditions are treated. For example, BMI or Body Mass Index is used by a many insurers as an indicator of future health. Your height/weight ratio may mean that a loading is imposed by one insurer, but another insurer may have higher limits and be willing to provide the cover at standard rates. You can ask your insurance adviser to obtain preassessments (based on a brief description of your condition) from some other insurers to see whether they would apply the same loading or not. The results may surprise you. 13. Is the monthly benefit what you really need? Not everybody needs to cover 75% of their income. It may be that you could survive long term on a much lower amount. It is important to calculate how much you spend on core living expenses such as groceries, electricity, gas and water bills, mortgage/debt repayments, school fees, health insurance and ensure that these are covered. You also need to consider whether you would be able to adequately save for your retirement and meet future costs if you were to receive an amount less than 75% of your current income. Income Protection policies usually increase your monthly benefit each year in line with indexation to inflation (CPI) in the expectation that your income will be increasing at the same pace. But sometimes your income increases by less than this, resulting over time in a monthly benefit more than 75% of your income. For Agreed Value policies this is not an issue, but for Indemnity policies this could mean that you are overinsured and will not be able to receive the monthly benefit on your policy schedule if you make a claim. It is therefore important to review your cover each year to ensure that it remains relevant. 14. Large sum discounts mean sometimes more cover costs less! A little known fact is that insurers offer large sum discounts for income protection which cut in at certain monthly benefit levels. The levels vary between insurers, but can result in discounts of up to 10%* if your monthly benefit exceeds $4000 or $5000. This can mean that a monthly benefit of $4000 can cost less than a monthly benefit $3750. Other levels of monthly benefit which can attract large sum discounts are $7500, $10,000, $15,000 and $30,000. But you will need to have the income to support these higher benefits! Insurance companies offer incentives to encourage you to take out all your covers with them. In some cases multipolicy discounts of up to 15% are available when Life/TPD, Trauma and Income Protection covers are taken together under one policy. This can be on top of a policy fee saving of $60 to $90 per year for each additional cover. Only by asking for a packaged quote will you be able to work out if the discounts from consolidating your covers will reduce your overall cost compared to having policies from different insurance companies. The other advantage of consolidating under one policy is not having to deal with more than one insurer! Multi-life discounts are offered by some insurers. If an immediate family member takes out a policy with the same insurer as you a discount of up to 5% could apply to both policies. The other policy does not have to be income protection – it could be Life, TPD or Trauma insurance. “Family members” can include your spouse, defacto, son, daughter, father, mother, father-in-law, mother-in-law, brother or sister. In some cases these discounts are also available for business relationships, including for members of the same SMSF. To earn and maintain the discounts there are health checks and/or activity targets to meet. However if you actively maintain your fitness or are looking to improve in this area the discount can give you added motivation! Insurers generally charge extra for monthly premiums. If you can afford to pay your premiums annually rather than monthly you can save between 6% and 9%*, depending upon the insurer. In some cases these savings are available for half yearly premiums as well. If you run into tough times financially or become unemployed for a period of time and cannot pay your premiums, your policy may allow you to suspend the premiums for up to twelve months until you get back on your feet again. Although you will not be covered while the policy is suspended this is preferable to cancelling your policy because when you are ready to resume your policy you will not have to re-apply or undergo medical underwriting. 20. Different insurance companies rate you differently – so shop around! There are certain factors affecting the cost of your income protection which you can’t change e.g. your age, your gender, your smoking status, your occupation and the state you live in. But because different insurers apply different pricing factors there can be large variations in pricing. For a 40 year old accountant taking out an indemnity income protection policy on the Insurance Watch website the difference between the lowest premium of $1005 per annum and the highest premium of $1679 is more than 60%*. So what are you waiting for? Compare Quotes Online now and save. * Based on the range of income protection policies compared by Insurance Watch for a 40 year old non-smoker accountant in Victoria with a monthly benefit of $6250, waiting period 30 days, benefit period to age 65 including claims escalation as at 30th September 2018. The above is general advice only and does not take into account your particular circumstances, such as your objectives, financial situation and needs. If you would like advice on your situation please go to Get Advice.